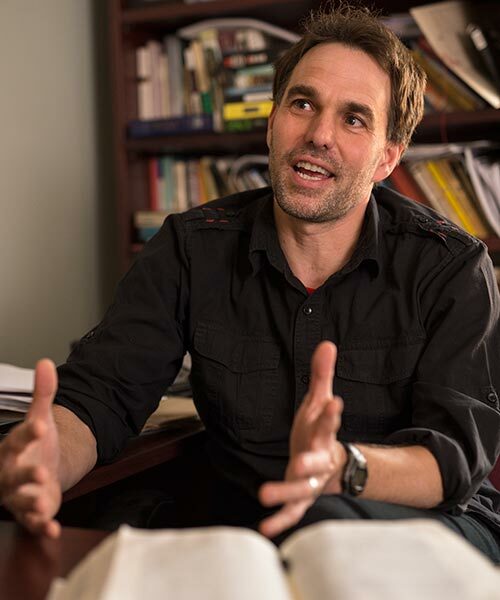 Born in Inverness, Cape Breton and raised in Windsor, Ontario, Alexander MacLeod is a professor of English and Atlantic Canada Studies at Saint Mary’s. A best-selling author, his 2010 short-story collection, Light Lifting, was shortlisted for the Frank O'Connor Award, the Giller Prize, and the Commonwealth Prize, and won the Atlantic Book Award. Dr. MacLeod holds degrees from the University of Windsor, the University of Notre Dame, and McGill University. As a writer and academic, his work is particularly concerned with place and belonging as reflected in myth and story in Atlantic Canada.